The starting point for this walk is the disused mountain farm Hyrnavollen in the Mørkridsdalen valley. After driving over the bridge at Moen, just follow the road across the river once again and to the large parking lot. The path onward through the Mørkridsdalen valley belongs to the Norwegian Trekking Association's network in Luster and is very well cleared and marked. Follow the path beside the river and then up through the unusual Tjørnaholet formation. After a while you reach the old mountain farm building at Dulsete. From here, follow the path past the old Liane mountain farm and beside the river to Dalen. For many people, the hike will end here, but you can also continue up towards Austra and Arentzbu. 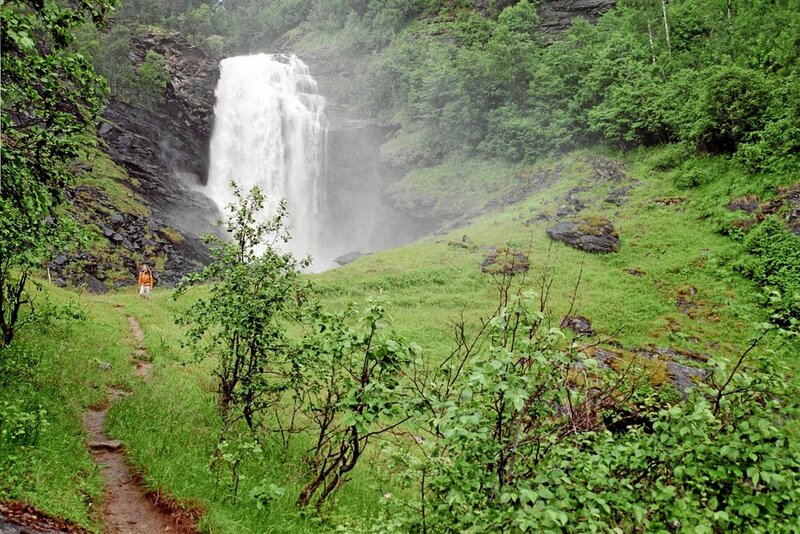 The hike to Dalen is about 2 hours and if you continue to Austra, the hike is about 3-4 hours long.